Collector’s Item - "Cuchulainn" was Originally Introduced in 1994. Figurine, 4” Wide x 5 1/2” Long x 7 1/4“ Tall. 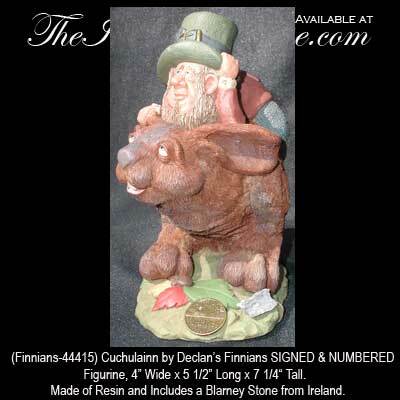 Made of Resin and Includes a Blarney Stone from Ireland. These remaining collectible Finnians had been "Lost" in our storage.